Koizumi Karen returns with a promotional video for the title track from her first album. “One Rank Ueno Girl” features a few visages of Karen: firstly we get an animated Karen, a school uniform Karen, a regular girl Karen, and a (gasp) bikini clad Karen. The promotional video makes ample using an aging film grain filter and some retro scenes and graphics, all of which maybe distracts from the limited scope of the promotional video. OK, and yes much of the video is shot using Karen’s cleavage as a backdrop for her animated version. Really, if you are not in a place where you can watch Karen sing in a bikini for upwards of four minutes you should probably wait until you get home. The music keeps the retro graphics company with some 1980’s sounds and effects. 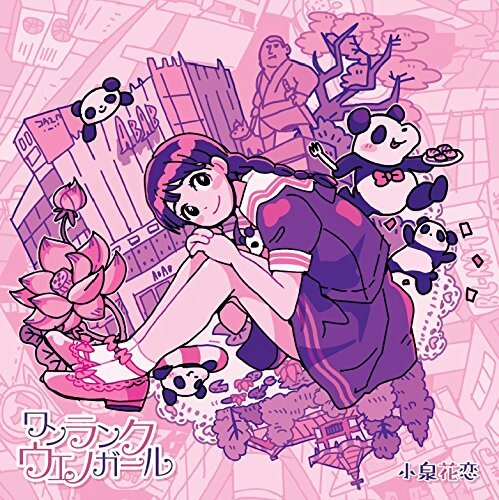 “One Rank Ueno Girl” proves a bit adventurous for Karen as it strays from the bubble gum sounds we saw in her previous release “Creamy Love You“. Check out both the “One Rank Ueno Girl” promotional video and album linked below, because I definitely want more of this solo idol. New PV Alert: Koizumi Karen – Kawaii kana?